Norman Willmore, Mrs. 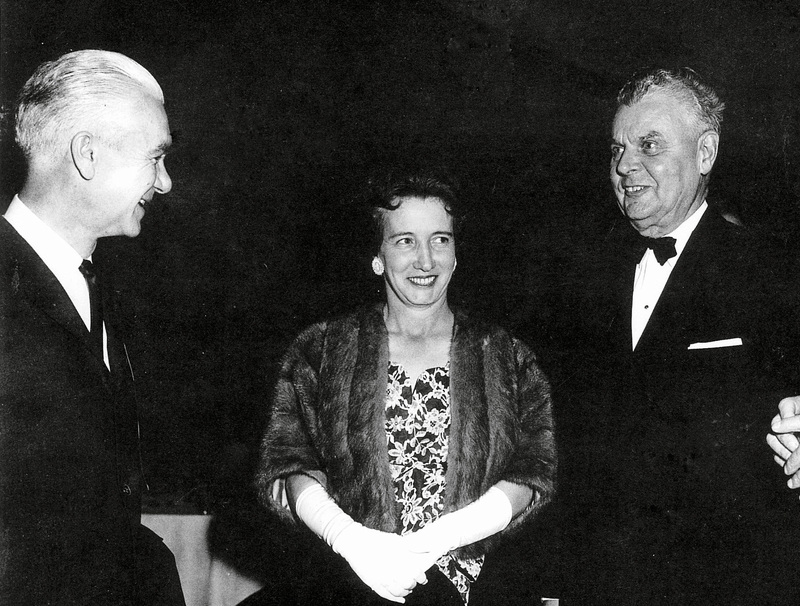 Dot Willmore and Mr. Diefenbaker. Photo courtesy of Joyce Hageman, who is Norman Willmore’s niece. The following excerpt on the formation of Willmore Wilderness Park was taken from page 24 and 25 of People & Peaks of Willmore Wilderness Park: 1800s to mid 1900s. Due to the fact that no oil of any consequence was discovered, the pressure from the oil and gas sector subsided when they let their leases expire. In 1959, Norman Willmore was instrumental in getting legislation passed to protect the area. This legislation is now known as the Willmore Wilderness Act. Honourable Norman Willmore was a man who believed in the environment and wanted his constituency to have a voice and he encouraged the trappers to organize into a body that could be heard by government. Norman Willmore was member of the Alberta Legislature for Jasper-Edson, and was also Minister of Lands and Forests. He was also the driving force in the formation of the Alberta Trappers Association. This Member of the Legislative Assembly listened and has left a wilderness legacy for future generations.